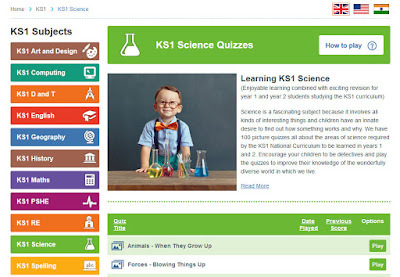 The Education Quizzes website is a huge resource for children throughout their school years. 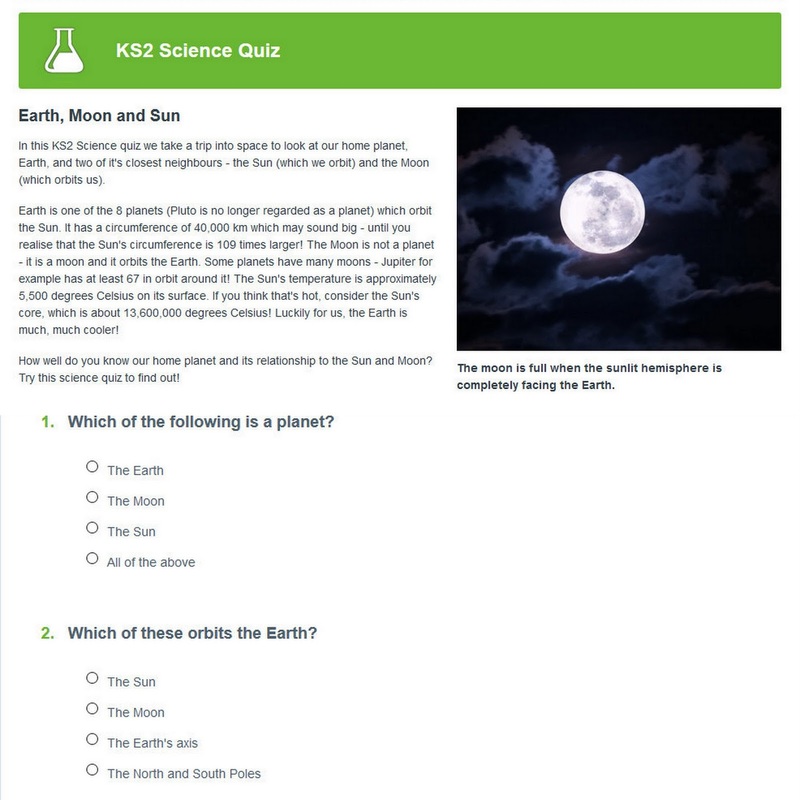 Quizzes are written by teachers and grouped by age range, from age 4 KS1 up to 16 year olds taking their GSCE's, including a section for children who have English as a second language, and some more in-depth topics such as Flags of The World or London. Choose the age range suitable for your child (KS1, KS2, 11-Plus, KS3 and GCSE), and then from the list of subjects. Within each subject there will be a number of relevant quizzes, there seem to be at least 10 in each, but some subjects such as KS1 Science have around 100 quizzes! All of the core school subjects are covered, and some topics have their own section too, more extensive parts of the National Curriculum such as Times Tables. Quizzes for younger children are mainly image based, whereas older children have less pictures and more text. We have a fairly distinct line between school and home, but it's beneficial for any child to practise their skills. The Summer holidays are long, and children get out of the habit of 'working'. 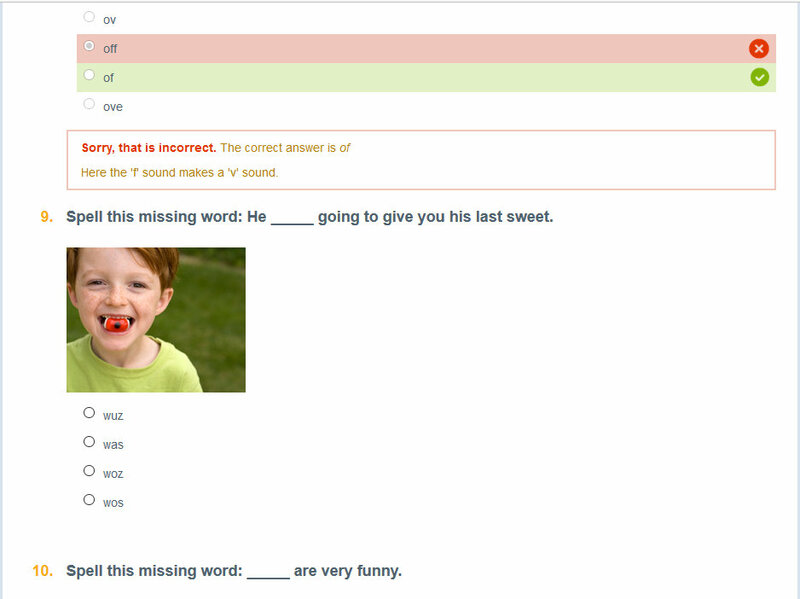 My boys mainly refuse to even look at any workbooks, but they are happy to do an online quiz. My 6 year old was especially keen to 'play' once he spotted some of the subjects on offer. Navigation around the site is super-simple and intuitive, and both of my boys had absolutely no problems finding something they fancied. In fact my 6 year old took most of the screenshots in this post! 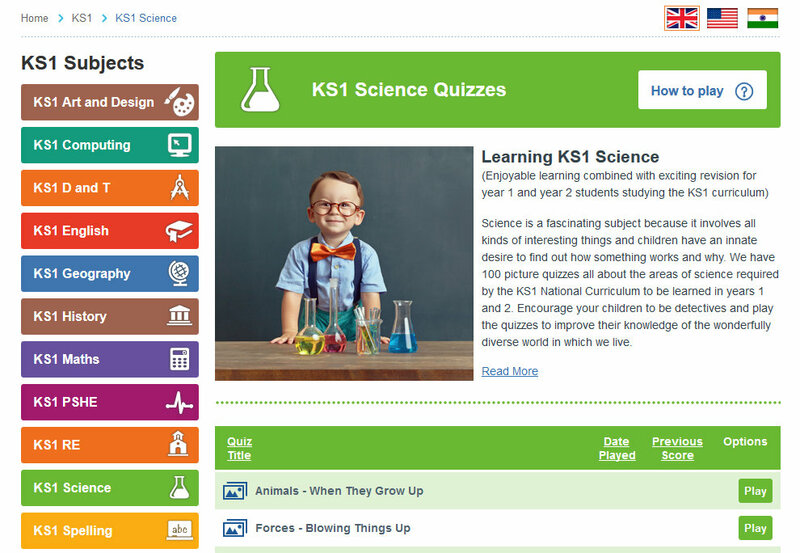 The marking is instant and there are very clear corrections and explanations, making the Education Quizzes website perfect for children to use independently, with just a little supervision from an adult. Unsurprisingly it is popular in schools, and they have special offers for whole school or group memberships, starting from only £2 per pupil per year. We are within days of the main exam results, and our teenagers are enjoying the respite from months of frantic A level and GCSE revision. Using computer programmes such as this really helps and is a long step away from the hours of writing and copying I had to deal with when I was a teenager. It removes all of the time you would spend setting up or marking your revision sheets, and means more focus can be spent on actually revising. We're impressed. Each quiz we tried was quick and interesting, we didn't find a age-appropriate subject or topic that was of no interest to my children. The format of 10 question quizzes with instant corrections means your child comes away with a score, and the understanding of where they went wrong. The questions seem well-suited to the age ranges, and relevant to children today and the school curriculum. The questions and the explanations are very clear and aren't ambiguous, and there is supporting text for the adult to read which explains where the subject is useful and what skills the child will be supporting by completing the quizzes. 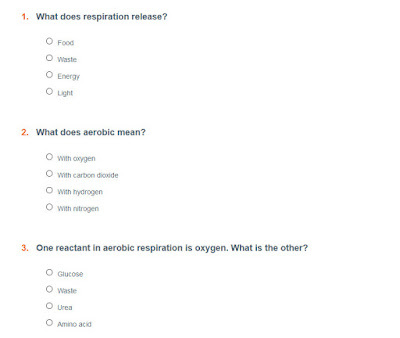 I think Education Quizzes is a useful tool both for practise and revision. It was fun for me to have a go at the quizzes, and a bit telling of how long it is since I took a test! My usually reluctant 6 year old had lots of fun trying to score both the highest, and the lowest scores, and my 7 year old learned a few facts, and picked up a few clues as to the type of subjects he'll be learning from September in Key Stage 2. Education Quizzes membership costs £9.95 per month, you can cancel any time without having to give any notice or pay a penalty and the price you pay when you first subscribe will never go up regardless of how much extra content is added to the site. Membership gives you one log in which your whole family can use for unlimited access to all of the content on the site. Multiple children can be logged in at one time, and the website can be accessed on any device (desktop computers, laptop computers, iPads, tablets and ‘phones). 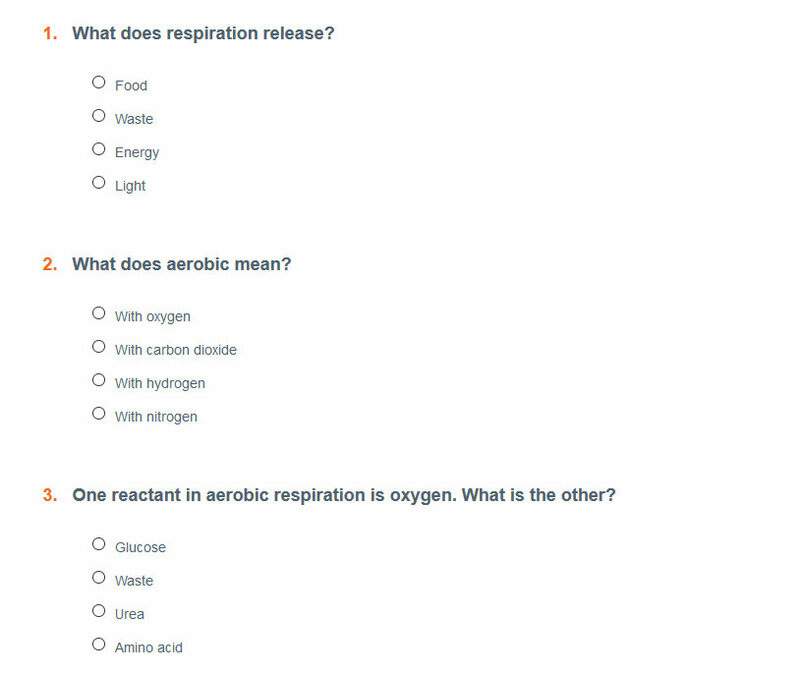 All of the quiz results are saved, and easily accessed via the homepage. You can find out anything else you need to know, as well as subscribe on the Education Quizzes website. We were given free access and paid for the time taken to review properly.